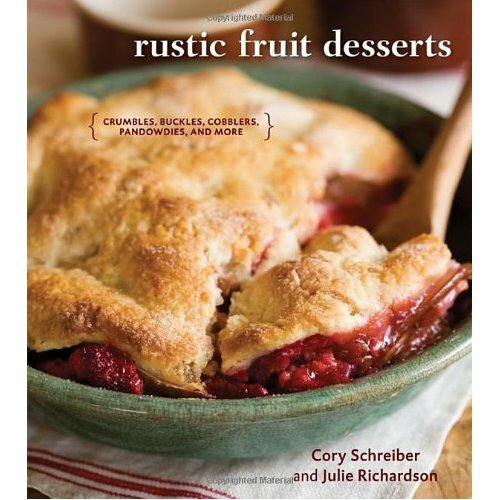 The cookbook is conveniently organized by season, with spring featuring a number of great rhubarb desserts. I plan to get some rhubarb at the local farmers’ market and start with the recipe for Rhubarb Fool. I’ve never made a fool, but it can’t be too difficult, right? I’m also looking forward to some of the heavier desserts (i.e. bread pudding) in the cooler months. The book also includes a convenient glossary that defines the difference between cobbler, crisp, buckle, pandowdy, and more. While I’ve understood the subtle differences, a glossary is helpful in explaining it to others. The photography is excellent, and the book definitely makes me want to travel to Julie’s bakery, Baker and Spice, in Portland, OR. I’ll report back after I’ve made a few recipes from the book, but in the meantime, if you’re a fan of fruit desserts like me, I’d definitely recommend it! Need to Lock Your Ice Cream? © 2011 350DegreesofYummy.com – All rights reserved.